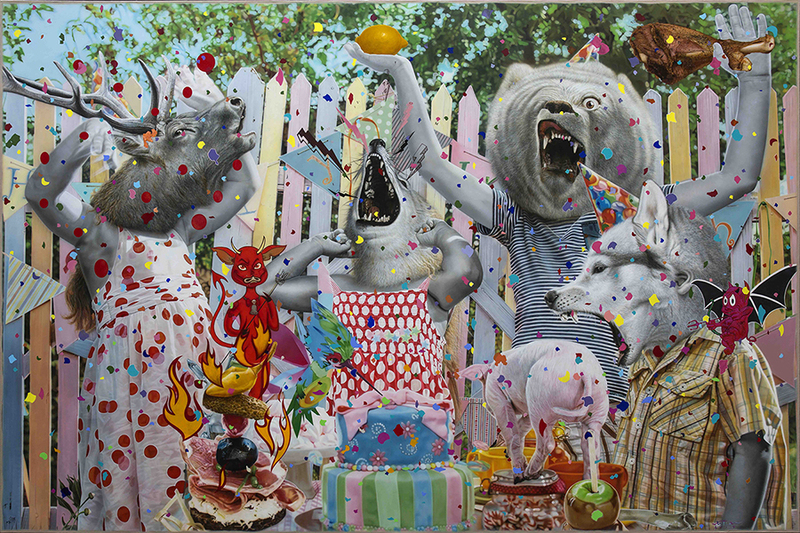 Tyler Rollins Fine Art is pleased to present Wild State of Mind, a solo exhibition of new works by Ronald Ventura. The exhibition has been extended through January 27, 2018. 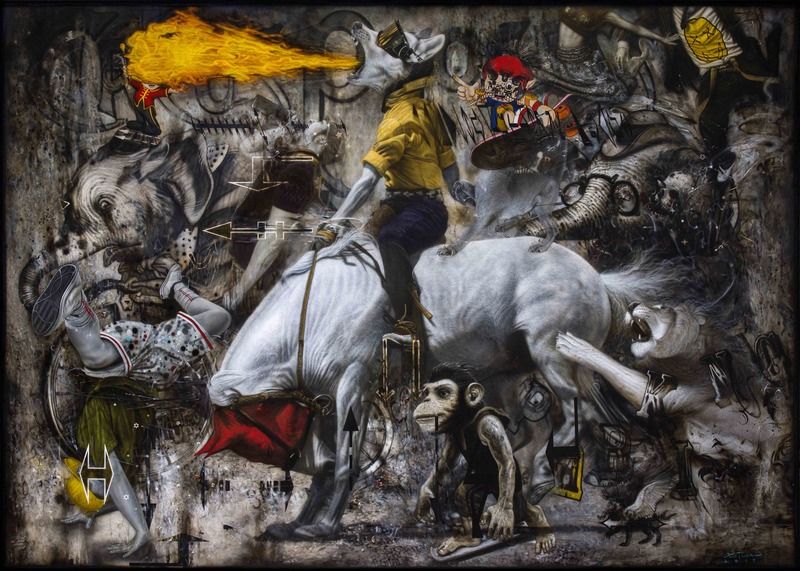 Born in 1973 in Manila, the Philippines, where he continues to live and work, Ventura ranks as one of the most acclaimed artists of his generation in Southeast Asia. 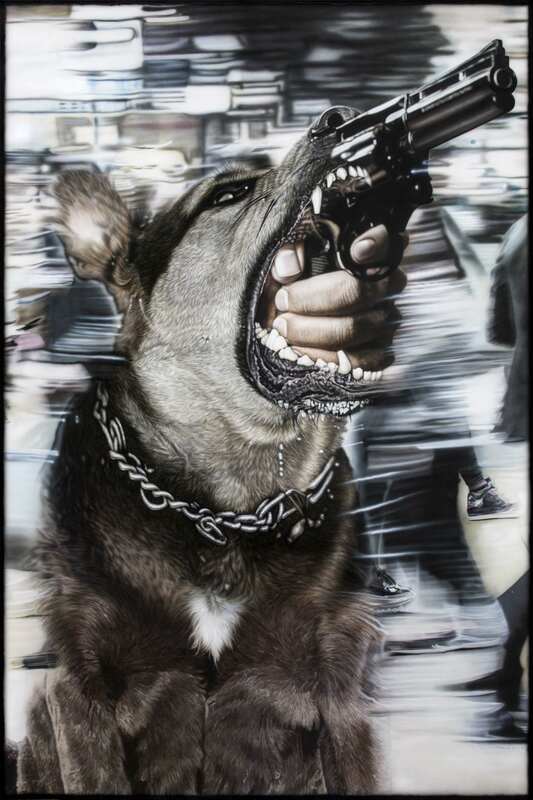 Over the past twenty years, his dynamically evolving oeuvre has exhibited an eclectic range of iconography and a wide variety of themes and subjects, taking formal risks that push the boundaries of image-making. 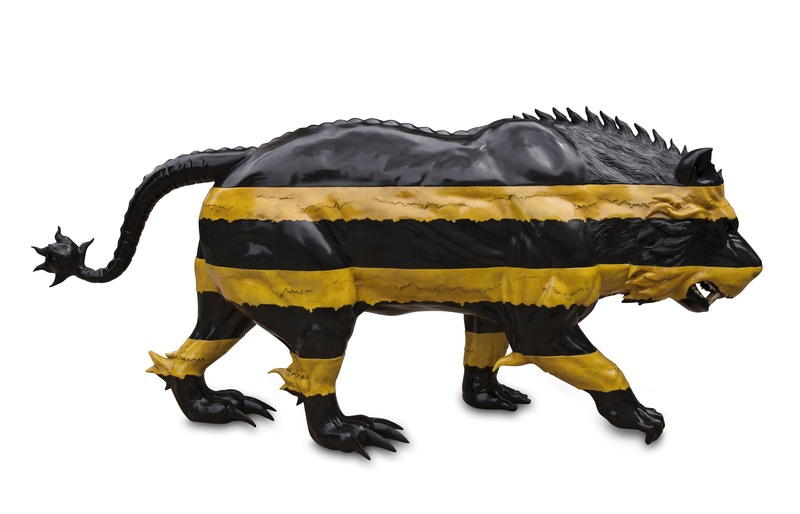 The exhibition probes the intersections between reality and fiction, madness and sanity, logic and instinct, breaking down the dualities that impose a sharp divide between humans and wild animals. 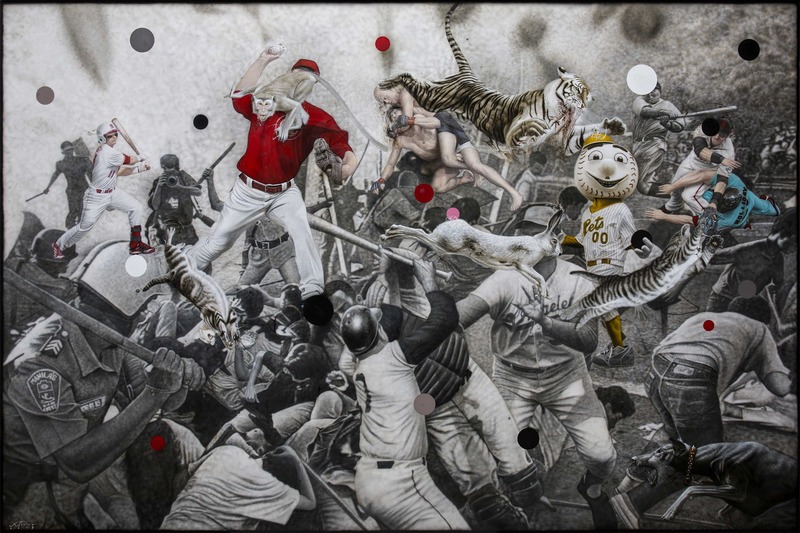 Ventura draws from contemporary social practices and culture, placing his hybrid creatures in scenes of merrymaking, parading, brawling, or playing sports – contexts that elicit extreme emotions but are very much part of our lived realities today. 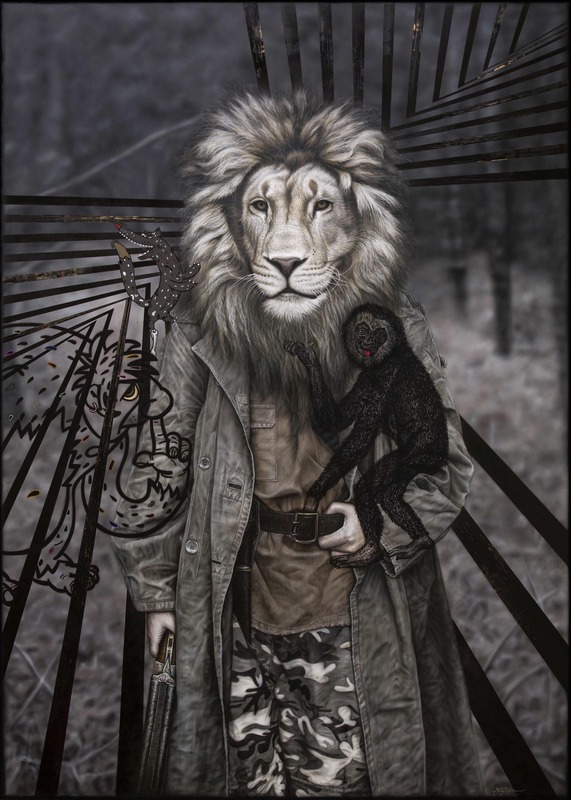 He incorporates often ominous imagery and symbols, ranging from traffic warning signs to firearms, that appear in a new kind of urban wilderness that is the contemporary counterpart to the sinister, mysterious forests of age-old legends and fairy tales. 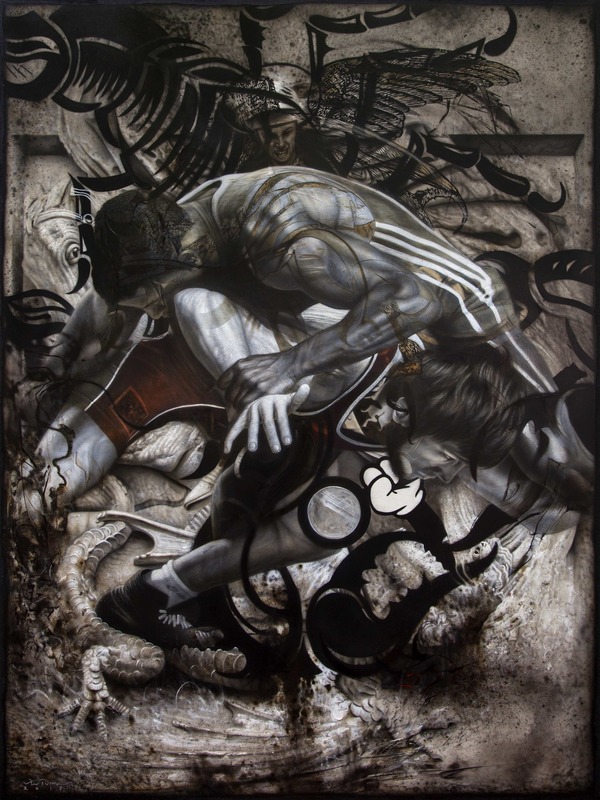 Ventura presented his first US solo exhibition, Metaphysics of Skin, at Tyler Rollins Fine Art in 2009, followed by A Thousand Islands in 2011 and E.R. (Endless Resurrection) in 2014. A major solo exhibition of his work, Project: Finding Home, took place in 2016 at the Museum of Contemporary Art, Taipei, while in 2017 the Metropolitan Museum, Manila, presented another solo exhibition, Shadow Forest: Encounters and Explorations. 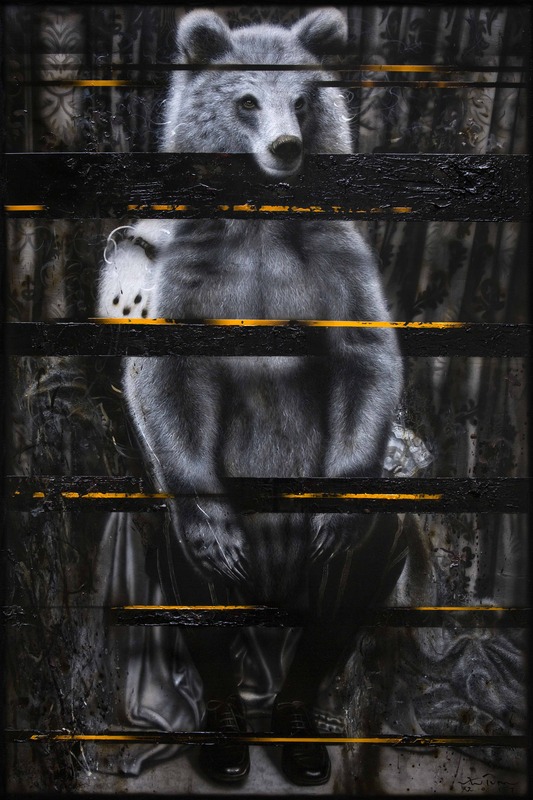 Concurrently with Wild State of Mind, Ventura’s work is featured in Out of Sight! Art of the Senses at the Albright-Knox Art Gallery, Buffalo, New York, USA. Other museum exhibitions of note include: Ronald Ventura: Big and Small, Ayala Museum, Makati City, the Philippines (2015); Bulul, Ronald Ventura and the traditional art of the Philippines, Museo delle Culture, Lugano, Switzerland (2014); Watching the Watchmen, Vargas Museum, Manila, the Philippines (2012); Recyclables, Singapore Tyler Print Institute, Singapore (2012); Surreal Versus Surrealism in Contemporary Art, Institut Valencià d’Art Modern, Valencia, Spain (2011); A Duad in Play, ICA Gallery, Lasalle College of the Arts, Singapore (2010); Mapping the Corporeal, National University of Singapore Museum (2008). 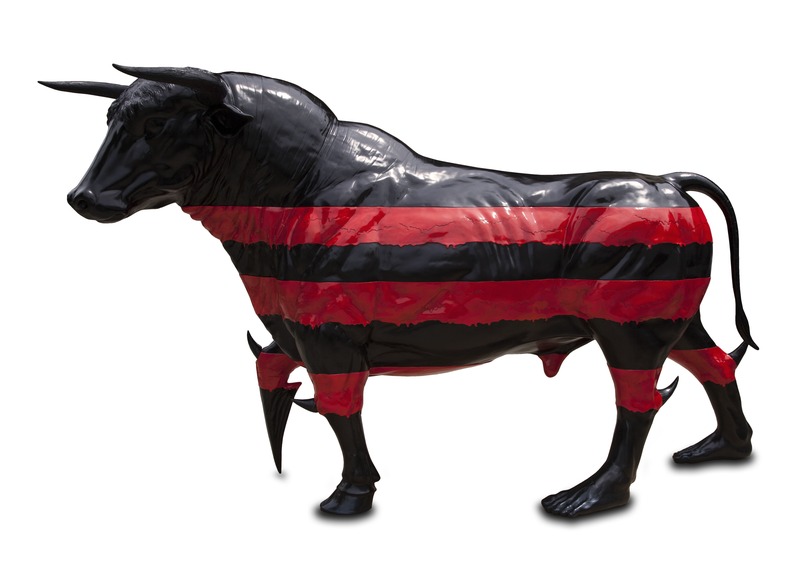 He was a participating artist in the Prague Biennale (2009) and the Nanjing Biennial (2010).